The rain over the last few days flooded several Roma neighborhoods leaving many residents angry and demanding answers. 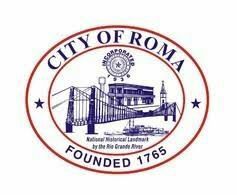 Residents showed up in large numbers and half an hour early to the Roma city council meeting on Wednesday hoping to address the council. Assistant City Manager Freddy Guerra took the time before the meeting to talk to residents about projects in the works to address drainage. Those projects focus on diverting water from Los Morenos Creek, which flows north of the city, away from residential areas. The creek flows north of the city but over the years due to a number of reasons including development, sediment buildup, and illegal dumping, the flow has been diverted into residential neighborhoods. The city and the county are working together with the goal of diverting water back to its original source. One project currently underway to accomplish that, which is being spear-headed by the county, entails purchasing the right-of-way in order to build a channel in the original site of the creek. Once that is completed, the plan is to add another line to deviate the water back to its original course. The city’s own storm drainage project would divert water back to the Los Morenos watershed. That $2 million project is partly funded by the U.S. Department of Agriculture is expected to break ground by the end of year. While those projects remain pending, Guerra said city officials are preparing for potential rainfall at the end of the week. On Thursday, city officials held emergency management meetings with county officials to prepare and also met with DPS to devise a plan for evacuations and for providing shelter, Guerra said. Regardless, he said the city feels more prepared to handle the situation than earlier this week. As of Thursday afternoon, all the roads were cleared out, having installed pumps where the water was still ponding. “Essentially, we’ll be starting from scratch if we get any more rainfall,” Guerra said. “A two- to four-inch storm, I think we’ll be able to handle but anything above that, we’re going to be seeing more flooding,” the assistant city manager said.